Funded by the National Science Foundation (NSF), the Ocean Observatories Initiative (OOI) is collecting, processing and sharing vast amounts of data on the oceans. The Rutgers team, which includes the Rutgers Discovery Informatics Institute and the Rutgers University Center for Ocean Observing Leadership, was awarded a two-year, $11.8 million contract by the NSF-funded Ocean Observatories Initiative's project management office to design, build and operate the OOI's cyberinfrastructure. OOI has an intended lifetime of 25 years. "Rutgers is now the hub for the world's richest source of new in-water oceanographic data, and we are extremely proud to have been chosen for this important work," says Christopher J. Molloy, Rutgers' senior vice president for research and economic development. "NSF deserves great credit for creating a powerful research and educational tool with such unprecedented scope. Our university is committed to meeting this responsibility." The Rutgers team has been working with Raytheon and Applied Science Associates to complete the design and construction of the OOI cyberinfrastructure, which includes data acquisition and processing, data quality control and storage and data dissemination. The system includes the OOI Data Portal, which provides access to the OOI data in a variety of formats, with advanced graphic visualization, to anyone with an Internet connection. The primary users are expected to be scientists and educators worldwide at colleges and universities, K-12 schools and research institutions. 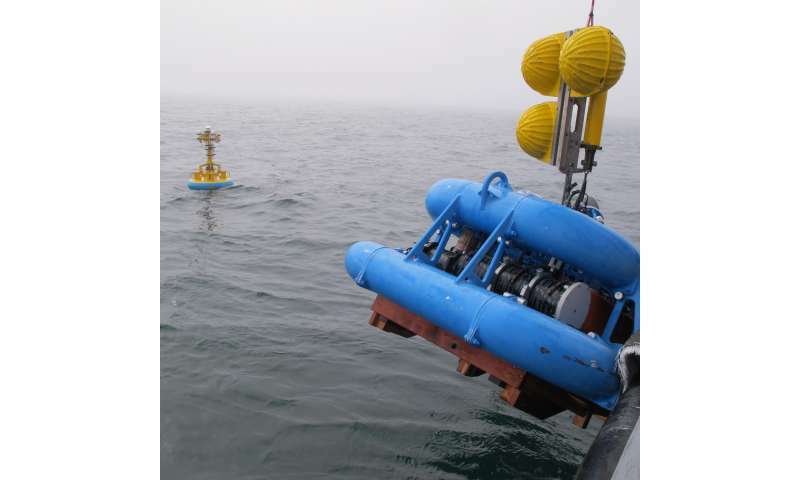 The data-collection network and systems for OOI are being managed by Oregon State University, the University of Washington and the Woods Hole Oceanographic Institution. The OOI project is managed by the Consortium for Ocean Leadership. Greg Ulses is the project director. More than 20 Rutgers employees are engaged in OOI, which became fully operational in early 2016. 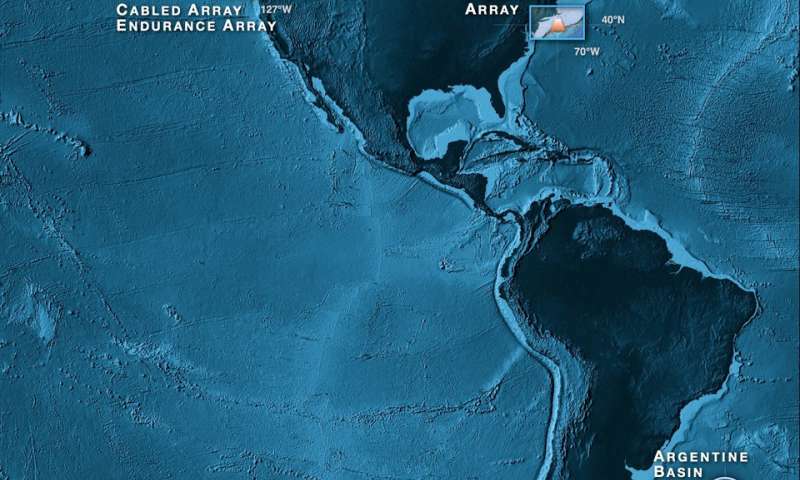 Their work provides a network that will permit 24/7 connectivity and bring sustained, reliable worldwide ocean observing data to a user any time, any place, on any computer or mobile device. The OOI's hardware consists of more than 800 various sensors, moorings, autonomous undersea gliders, and seafloor cables deployed in seven arrays at key locations in the Pacific and Atlantic oceans. The hardware generates a large variety and amount of information, images and video. The project is a networked observatory of science-driven sensor systems to measure the physical, chemical, geological and biological variables of the ocean, seafloor and near-ocean atmosphere. The OOI cyberinfrastructure team is led by Manish Parashar, distinguished professor of computer science and founding director of the Rutgers Discovery Informatics Institute (RDI2), in collaboration with Scott Glenn and Oscar Schofield, distinguished professors of marine and coastal sciences and directors of the Rutgers University Center for Ocean Observing Leadership (RU COOL). The Rutgers team brings a comprehensive approach to the OOI cyberinfrastructure by using the expertise of both computer scientists and oceanographers. "What's most exciting about OOI is the transformative impact that it will have on marine science by providing researchers, educators and students around the world access to data that was previously accessible by only a very few individual and institutions," noted Parashar. "RDI2 is a leader in advanced cyberinfrastructure and computational and data-enabled science and engineering, and we have assembled a unique, multidisciplinary team at Rutgers to address the challenges posed by the scope and scale of the marine instrumentation and the data, and the wide range of research needs." Glenn and Schofield—world-renowned oceanographers—were among the leaders in conceiving and developing the Ocean Observatories Initiative. They have focused on developing ocean omnipresence through remote and robotic technologies deployed in polar, temperate and tropical seas. "Our OOI partners have deployed advanced platforms and a wide variety of sensors in challenging environments at sea," Glenn said. "Enabling unprecedented access to scientists and educators through an equally advanced cyberinfrastructure is our goal. We are excited that Rutgers is part of the team."